Free control from your smartphone! Enjoy cannon and machine gun sound effects! Uncompromising detail lets you dive deep into the world of tank warfare! Finished with such a high degree of quality, this model would make a proud interior display. Precise in every detail from its form to coloring, a total sense of realism is recreated in a palmtop size tank. While built to an interior display standard, control of movement is at your fingertips through your smartphone. Forward/reverse movement, sharp turning, and pivot turning are all freely controllable. In addition, cannon and machine-gun sound effects add to the realistic atmosphere. Control the tank through the newly developed ‘i-driver’ app and Bluetooth that allows up to 8 tanks to be controlled at the same time. Engage in coordinated tank maneuvers with your friends. 1 smartphone can be paired with 8 different tanks so simultaneous coordinated control is also possible. Download the control app from the App Store or Google Play and complete the first pairing in a web environment and authenticate. This prevents other duplicate control from other smartphones. The GUI control panel provides easy and intuitive control. Four buttons are used to move forward/reverse and control left track and right tracks independently, making it easy for anyone to pivot turn the tank in its own tracks. The ‘one-hand’ mode allows forward/reverse and left/right pivot turning control with just one finger. 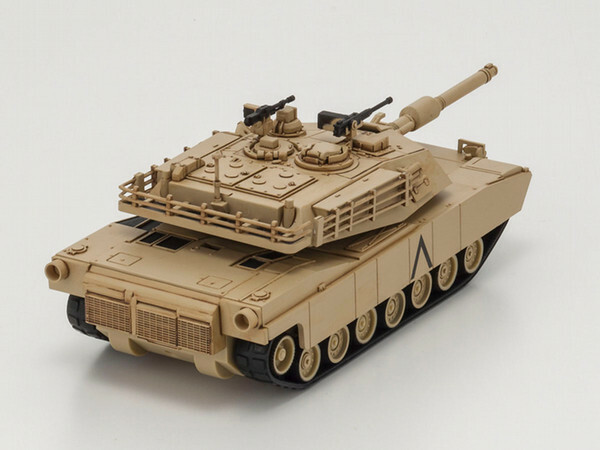 The increasingly popular ‘Pocket Armor R/C’ has been enhanced with newly formulated material for the caterpillar tracks that produces even greater stability. 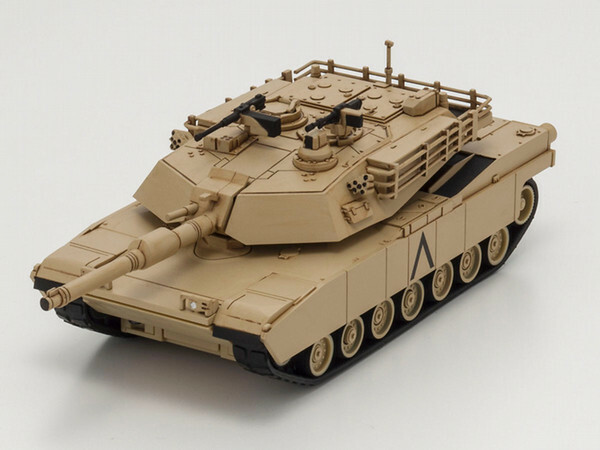 Kyosho recreates the formidable presence of the M1A2 Abrams as this tank powers up and over gradual slopes to steep inclines of 45°. Immaculate detail including weathered appearance in the approximately 1/60 scale size recreates an ultimate sense of realism. Use the 4 buttons on the screen for free control of forward/reverse, sharp turning and pivot turning. Button control of simulated cannon fire and machine gun fire produces ultra real sound effects through your smartphone. Safety procedure authenticates first pairing. Equipped with a single ALL button for integrated control. Newly developed “idriver” system provides control through your smartphone. BluetoothTM system provides easy pairing and stable control. Realistic finish with the weathered treatment. Available in 3 color patterns. Up to 8 models can run at the same time. Features cannon & machine gun sound effects. Installed with one-hand control panel mode. Impressive graphics and sound event on app startup. English & Japanese compatible app. Three AAA-size alkaline batteries provide long run times of more than 120 minutes. ※1: Compatible with iPhone (4S or later), iPad (3rd generation or later) and iPod (5th generation of later) as at November 2014. Android compatible. ※2: Sound is heard through the smartphone speaker. Compatible smartphone, tablet / iPhone (4S or later), iPad (3rd generation or later), iPod Touch (5th generation of later). Android compatible. ※Depending on network performance or device version, the functionality, response speed and image quality can vary. Apple, Apple logo, iPad, iPhone, iPod Touch are the registered trademarks ofApple Inc. in the U.S. and other countries. App Store is a service mark of Apple Inc. Android(TM) and Google Play(TM) are the registered trademarks of Google Inc.